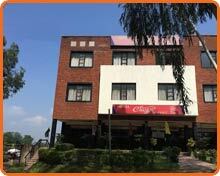 Hotel Classic, Chandigarh | Apple Hotels & Resorts Pvt. Ltd.
Apple Hotels & Resorts Pvt. Ltd. Welcome to Apple Hotels & Resorts (P) Ltd.
© Copyright 2008, all rights reserved with Apple Hotels & Resorts Pvt. Ltd. Copyright Apple Hotels & Resorts Pvt. Ltd. All Rights Reserved.